MUNICH — Bayern Munich winger Franck Ribery has been ruled out indefinitely after picking up a thigh injury in an internal training game. 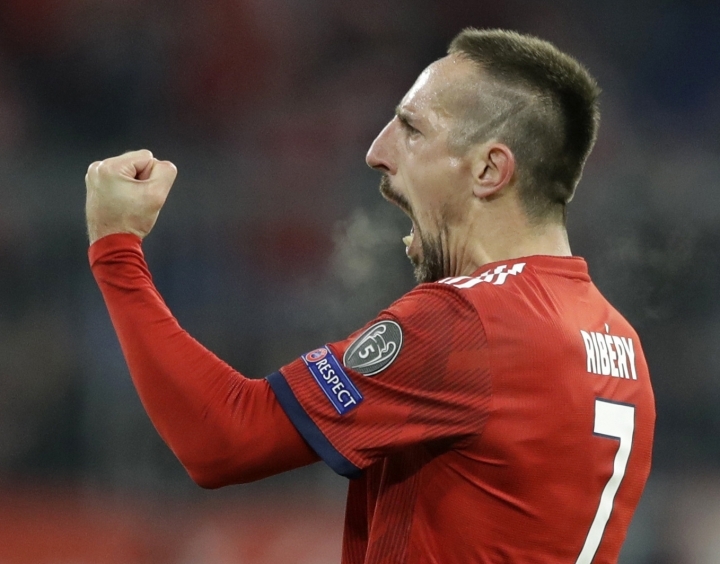 The Bavarian club says Ribery tore muscle fiber in his right thigh during Wednesday evening's training session at the team's winter camp in Doha, Qatar. The team does not say how long the 35-year-old Frenchman will be out. Bayern is already without Arjen Robben (thigh injury) and Corentin Tolisso (cruciate ligament). Ribery was fined by the club last weekend for a tirade of obscene insults on social media in reaction to criticism he received over a video of him being served a gold-leaf steak while on vacation in Dubai.